It is important for the mathematicians in our classrooms to develop the knowledge of the numbers to ten and an understanding of combinations to ten. This resource has been designed as a springboard for you to develop and reshape to cater for the mathematicians in your classroom! 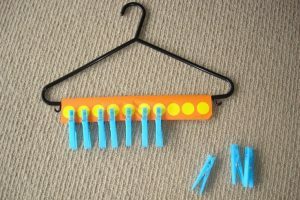 25+ teaching ideas to implement with a tens facts coat hanger. Be sure that you have an application to open this file type before purchasing. All rights reserved by the author. Permission to copy for single classroom use only. Electronic distribution limited to single classroom use only.